Don’t get me wrong you all know I LOVE books and I LOVE reading, but there are some things that I just don’t like. This doesn’t pertain to every book, some books are beautiful works of art. I would pay more for a book if these problems were solved. Maybe my hates are more pet peeves, but anyway here they are…. Yes, I love the way they smell! However, I cannot stand it that all books are not printed on acid free paper. It looks so much nicer and holds up over time. I believe that all hardcovers and trade paper backs should be printed on acid free paper. Also, I cannot stand Deckle Edge! I like my books to have nice, clean, crisp pages. Is it only me or does this bother you to? I didn’t know whether to put this problem with pages or design, but I don’t like it when books don’t have lay-flat pages. Books with these pages are so much easier to read, I love them! I love displaying books on my shelves, but it looks terrible when all the books I own are different sizes. Some are shorter or taller than others. Why can’t books just have a standard height? I also don’t like it when books are overly long because they become cumbersome and difficult to read. A good example of this is Words of Radiance by Brandon Sanderson. This book is enormous and should have been split into two books released together, maybe in a box set. I think that would have been better. See what I mean about height? Different sizes do not look good! I know I am not alone when I want my books to look nice. They should be beautiful and well laid out. I don’t want any stupid blurbs on the cover explaining how good the book is. This is not going to make me buy the book because I actually look up through reviews for that. I also dislike it when I have to look up elsewhere what number in a series a certain book is. Not all covers show this, but the Way of Kings cover and even City of Bones clearly state this, which is good. However, there are many other books that do not. The title, author, series, and series number should be easily readable on the cover of a book. It should even be on the spine, as well.That isn’t too much to ask is it? Also, don’t advertise something on a book such as “coming soon to ABC Family” or “soon to be a major motion picture”. I either don’t care or already know. A good example of this is the Mortal Instruments Series. The new covers have a logo on them explaining that the series is going to be a TV show. Ugh. Another pet peeve is when there is just a photo used as the cover. How about some gorgeous artwork to be proud of. Maybe even something that a fan would love to have a print of hanging on their wall. Sometimes it wouldn’t even hurt to have some illustrations within your book. Sure we may be adults, but that doesn’t mean we don’t enjoy art. 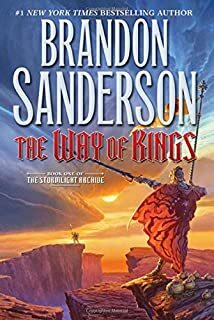 Look at Sanderson’s Stormlight Archive series. Both books so far have art within and it is just awesome. It really adds to the story. Here are two examples of covers, can you see what I mean?…. Has both quotes and an advertisement! Ugh! Wouldn’t want that artwork hung on my wall either. Look at this! It’s gorgeous! I also love it when my books look good on my shelf, so it is great when all the spines of a series match. A great example of this is the Harry Potter or Mortal Instrument series box sets. Each one has beautiful artwork, the name of the book, and the number of the book as well. Beautiful artwork! Why couldn’t this have been extended for front/back covers as well? Books are expensive! And for what we get, sometimes it just isn’t worth it. When you combine a book that has all of these negative things I just discussed is it really worth it to pay up to $30 for it? Yes, I know there are cheaper places to buy books such as Amazon, but like many of you I want to be able to go into a store a look at the book, buy it that day, and not pay a fortune for it. Stores like Barnes & Noble sell their books at list price and even with a coupon I can still get books cheaper on Amazon. If the store would drop at least five dollars off of their books I would probably buy from them instead. Or books could be better designed and then I would be willing to pay list price for them. Special edition of books also bother me because they are so EXPENSIVE! I know why they are, but why do they have to be? A good example of this is the new leather bound edition of Elantris by Brandon Sanderson, which you can view here. The list price is $100 and the only place I know of to get it is on his website (second printing still available). As a book lover I want beautiful books just like this one! This is a lot of money to pay for one book and its even worse because it is not readily available, which is going to make buying a copy elsewhere even more expensive! I don’t have that kind of money to spend on a single book! However, I will probably get it anyway! How about dropping the price by half and having a much larger print run? Actually, I think all books should be designed similarly to this one. Everyone who loves this book deserves to have a copy! Why can’t all books be gorgeous and reasonably priced? A good example of a book that is absolutely gorgeous and reasonably priced is the new illustrated edition of Harry Potter and the Sorcerers stone! It’s spectacular and if you love Harry Potter and haven’t looked at it yet, just buy it! See it here! I have never seen a series before where the spines from a picture. Pretty! Thanks for the photos. Price is a big thing for me too. I think the authors deserve actually more money than they get per book sale, but I rarely ever buy a new hardcover anymore. I mean, $27?!?! That’s saved for authors I am a big fan of.